The Cape Town live cam gives you an insiders look at this city in the wild! Most people think of Africa has an underdeveloped continent, but Cape Town will put that theory to rest. 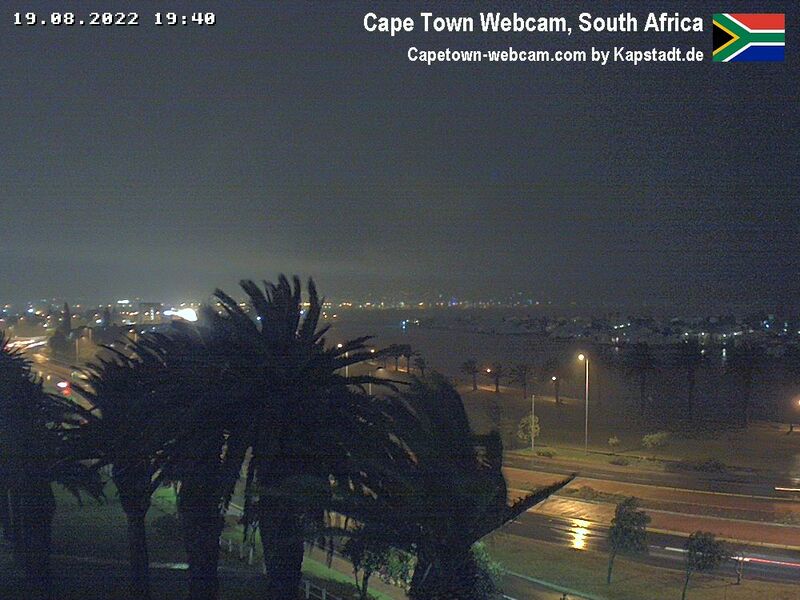 The Webcam for Cape Town allows you to visit this exciting continent from where ever you are! Enjoy the views of Cable Mountain and the hustle and bustle of this vibrant city. Cape Town is a unique cornucopia of cosmopolitan happenings and raw beautiful natural beauty. This city has a very long and interesting history. In the 1600’s colonization began by the Dutch. By 1654 there was a large influx of Asian immigrants and they were soon followed by European settlers. The Huguenots fled to Cape Town to avoid prosecution from the Catholics in France. The culture today reflects the centuries of influx of immigrants. Cape Town has a rich eclectic culture because of the influence of all the people from around the world that have settled there over the years. It is truly a melting pot of cultures and people. 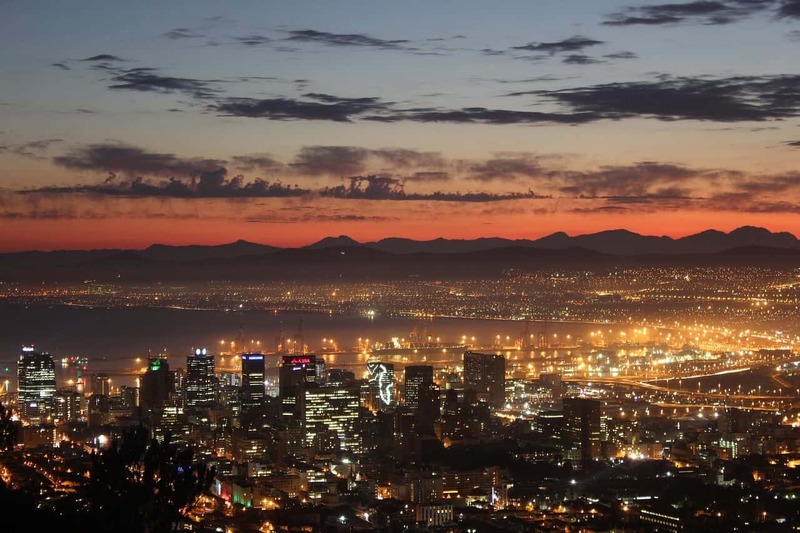 It is known as the “Mother City”. Flat topped Table Mountain is the guardian of this city. The beautiful beaches, the restaurants, the natural areas surrounding the areas make this a great city to see. Cape Town encapsulates all the mystery that Africa is. Population: The full-time population of Cape Fear is around 450,000. Main Attractions: Kirstenbosch National Botanical Gardens, Signal Hill and the Noon Gun, Clifton and Camps Bay Beaches, The Victoria & Alfred Waterfront, Robben Island, Table Mountain and more!